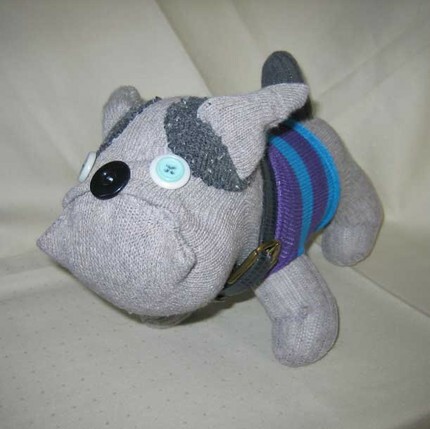 Katie James, owner of KJ Dogs, has posted this very cute critter for sale on Etsy. His name is Boulder. I think these sock dogs are the cutest things ever. Actually, I already own two. Katie has informed me that I am no longer allowed to purchase her sock dogs. So sad.